AIA Dallas is purging old ARE resources! 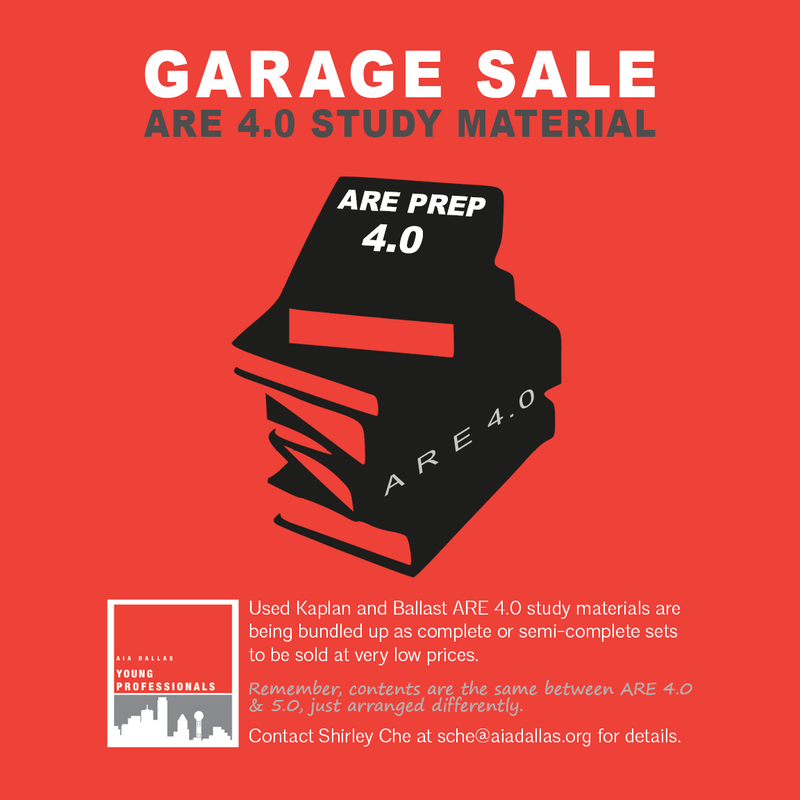 Used Kaplan and Ballast ARE 4.0 study materials are being bundled up as complete or semi-complete sets to be sold at very low prices. Hello, GARAGE SALE! The content of ARE 4.0 and 5.0 are essentially the same, just rearranged into different sections. Each set of 4.0 study material will still provide candidates with all the contents they need to prepare for the 5.0 exams.